From the Batman Arkham Origins collection by DC Collectibles. Batman Arkham Origins Series 1 Bane Action Figure. This Item is in stock and ready to ship. 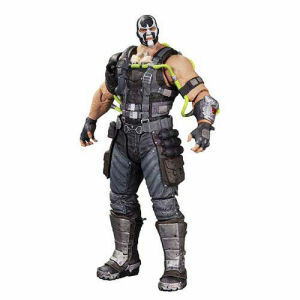 You should not postpone your purchase and miss out on adding Batman Arkham Origins Series 1 Bane Action Figure to your Batman Arkham Origins collection! From the Batman Arkham Origins collection by DC Collectibles. Batman Arkham Origins Series 1 Bane Action Figure. Bane Action Figure stands about 8.25 inches tall. Based on Arkham Video Game designs.